Join the Stronghold Advances Test on 9th April! Join the Stronghold "Advances" test on 9th April! An "Advance" is a series of battles for Industrial Resources between two Clan detachments on bridgeheads. Its ultimate aim is to capture all enemy Lines and the Citadel. The enemy is selected from the Clans available in queue, matched according to their Clan Ratings. Detachments get their reward according to the number of Lines under their control. The more Lines captured, the greater the reward is. Moreover, detachments get Industrial Resources for every battle fought during the "Advance." The amount of Industrial Resources also depends on the Command Center level and Reserves used in battles. Remember that legionnaires get some of the earned Industrial Resource. You can find detailed information on "Advances" in the Stronghold guide. As an added bonus, you can earn Gold and Industrial Resources when you submit a screenshot of each tab of the "Advance Results" in this thread. 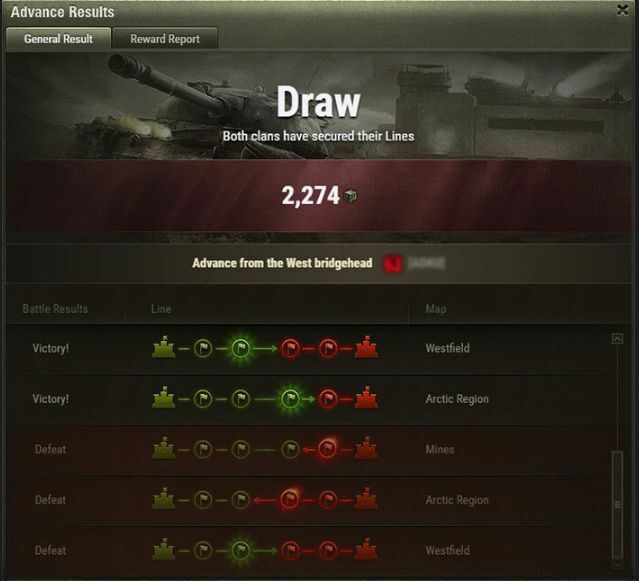 You can earn 200 and 5,000 for a win or 100 and 2,500 for a loss, but nothing for a draw. The 9th April test will occur on two slots: the first at 17:00 UTC+8, and the second at 22:00 UTC+8. Make sure to gather your troops early; if you miss the start time, you will not be able to join late, so be sure that everyone is in the detachment and ready to go fifteen minutes before. When the time is right, hit the "Battle" button at 17:00 or 22:00 to be part of the action!